Amazon Payments is a fast, easy way to accept payments or shop online. Our ELEX Amazon Payments Gateway for WooCommerce plugin (Previously known as XAdapter Amazon Payment Plugin) lets you easily integrate Amazon Payments with your WordPress WooCommerce Store. Give your shoppers peace of mind with Pay with Amazon. Allow your shoppers to Checkout from your site with their Amazon accounts. 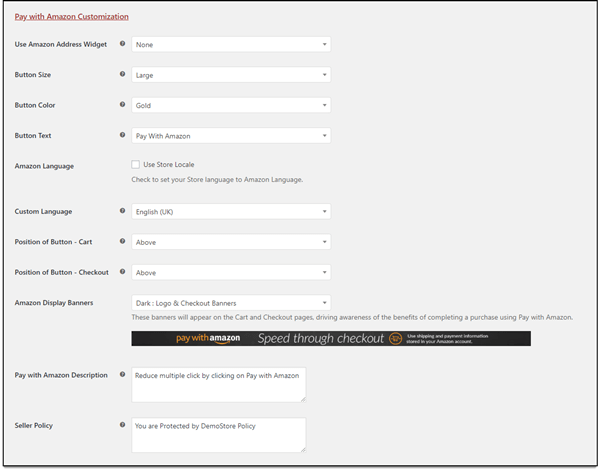 Amazon Payments enables millions of Amazon buyers to purchase from your WooCommerce Store using the payment and shipping information in their Amazon accounts. Customers stay on your site during the checkout process. Orders are passed to Amazon Payments. You are covered by Amazon Payments’ fraud protection. With this plugin, you can add Amazon Pay Checkout button on the cart page itself. This will reduce clicks, and Checkout time, hence giving your customers easy, and quick Checkout experience. 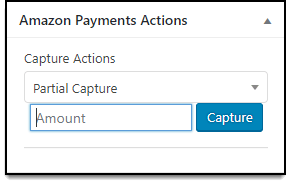 A consolidated overview of Amazon Payments, where you can do one-click capture and refund. You can view all the transactions that have been processed using Amazon Pay. Process full or partial refunds from individual order page as well as Amazon Overview page. You can Capture as soon as the order is placed or as a shop owner, Authorize the charges and then capture the payment. 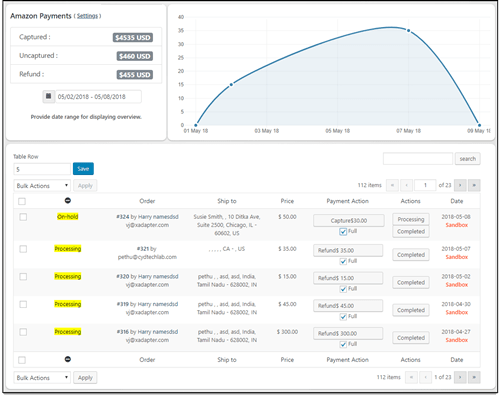 You can capture the payments from individual order page or on the Amazon Overview page. Hallelujah – THIS Plugin works just fine PLUS I can actually chose wether I need the button to be on the cart site, checkout site or both. Also, I need to say that the customer service is absolutely accelent. Thank you! My business heavily relies on my payment processors to function EVERY TIME someone wants to buy a product. These plug-ins are always up to date with the latest WooCommerce and WordPress platforms. I never have issues with payments. I do not have to worry. The technical support is fast, reliable and very available. Great product. Easy to use and setup. The plugin will work wherever Amazon provides seller account for the payment. The supported currencies are Euro (EUR), Pound Sterling (GBP), and US Dollars (USD). Can I show the Amazon payment option as radio button like the other payment gateways? Amazon payment gateway API does not provide that option. It only offers a button in the cart and checkout pages. But you can customize the display banner and the location where you want the button to appear. If the payment was done using this Amazon payment plugin, then yes, you can refund. But it is possible if the customer provided his Amazon account to go for a manual refund. But that will cause complications for the shop owner if the customer raises a dispute in the original payment channel. Also, the processing fee will not be refunded from the original payment channel so the shop owner will be at a loss.